Diabetes definition, Symptoms and Treatment ~ healthdaylight help to you improve your health. When the glucose level increases in our blood, the condition is called diabetes, in this situation, the discharge of insulin in our body's pancreas decreases. Insulin controls our body's sugar, which we eat; Insulin changes that food into energy; but when the depletion of insulin starts taking place in our bodies then the amount of glucose in the blood starts increasing, and this is mainly due to the eyes, Affects the brain, heart, and kidneys. 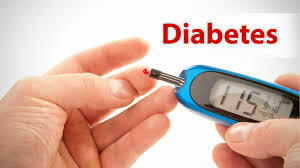 Diabetes is a deadly disease, therefore it is necessary to treat it on time. These types of diabetes are found in persons under 22 years of age. It is a cause of not having insulin in the body. Our pancreatic insulin does not make insulin due to the excess amount of insulin present in the body. Due to which the presence of glucose in the body does not reach our cells and increases its blood volume. This type of disease is found in most people in the world. 1. One of the signs of losing weight after eating a diet full of daily food Because when the cells present in our body do not get glucose, then our body supplies it to the present fat and muscles, which reduces the fat and muscle present in the body and reduces our weight. 2. Injured between hands and feet fingers. 3. Too much thirsty and frequent urination. When the extra amount of sugar is accumulated in our body when the kidneys do more work to clean the blood and expose the amount of extra sugar deposited in the body by urination. Because of which the urine comes again and again and thirsty again and again. 4. Due to insulin deficiency, the amount of glucose in the body cells is not fully reached, which causes more tiredness. 5. Eyes visible from the eyes is also a symptom because the presence of excess sugar in the blood causes the supply of blood in the eyes decreases and we see the blurred vision. 6. It is also a symptom of repeated abscess in the body and absence of wounds. 7. Due to sugar, the body becomes weak and it often starts dizziness. 1. Diabetes is also a genetic disease, if the parents have diabetes in the family, then their children are natural to have diabetes. 2. By eating fast food, the excess amount of calories is accumulated in our body due to which the weight of our body increases, but insulin does not form in that quantity and the sugar level in our body increases and we become diabetic. Are there. 3. Use of milk, cold drink sugar, diabetes becomes more. 4. Due to pregnancy, there is a greater chance of getting diabetes because the hormones developed in the placenta interfere with the body's insulin process and it increases insulin resistance in blood and the amount of glucose in the blood. 5. Eating too many medicines is also a cause of diabetes. 6. It is also a reason for taking a lot of mental stress and smoking. 1. Sugar disease arises from stress, so try to be more and happier and you should get enough sleep to avoid it. 2. To avoid diabetes, you should reduce your obesity. To reduce obesity, do not use fatty foods at all and do general exercise. 3. The person who has diabetes should not walk bare feet. If there are any injury marks on his feet then he should not ignore at all and show his doctor without any delay. 4. Blood sugar should be tested from time to time. It measures a type of sugar called glucose in your blood. 5. The person with diabetes should avoid smoking.